The SC Bench headed by CJI Dipak Misra was dealing with the legal question whether a Parsi woman loses her religious identity if she marries a man from a different religion. 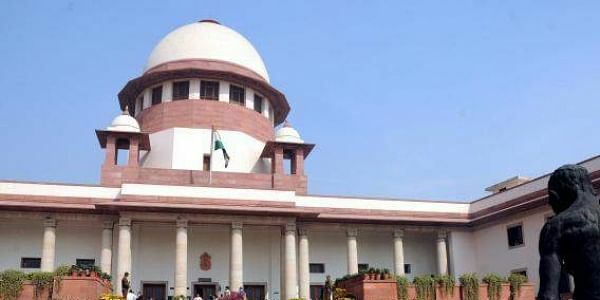 NEW DELHI: A five-judge Constitution Bench of the Supreme Court on Thursday said no provision in the law states that a woman will have to merge her religion with her husband’s after an inter-religion marriage under the Special Marriage Act. “There is no law which says that a woman loses religious identity after marrying a man from another faith. Moreover, the Special Marriage Act is there and allows that two persons can marry and maintain their respective religious identities,” the Bench said. The Bench headed by CJI Dipak Misra was dealing with the legal question whether a Parsi woman loses her religious identity if she marries a man from a different religion. The court asked senior advocate Gopal Subramanium, representing the Valsad Parsi Trust, to apprise it on December 14 as to whether it can allow Goolrokh M Gupta, a Parsi woman who had married a Hindu, to attend the last rites of her parents. Gupta has challenged the law upheld by the Gujarat High Court in 2010 that a Parsi woman marrying a Hindu loses her religious rights in the Parsi community and hence, loses the right to visit the ‘Tower of Silence’ in the event of her father’s death to perform the last rites. Indira Jaising, appearing for Gupta, cited the Common Law doctrine of merger of religion.